It may be surprising to learn, but your home’s most important defense against the damage that requires vinyl siding repair in Columbus, OH, roof repair in Columbus, OH, and gutter repair in Columbus, OH is simple, efficient, professionally performed gutter inspections. Columbus, OH homeowners unfortunately tend to underestimate the importance of their home’s rain gutters based primarily on the idea of “out of sight, out of mind”. That said, gutter inspections in Columbus, OH are a surefire way to decrease the risk of these damaging problems while improving the appearance and functional efficiency of your home as a whole! Next Level Exteriors gutter inspectors in Columbus, OH are well-aware of the importance this quick, little service can have on a property and are just as well-equipped to provide those Columbus gutter inspections, gutter repairs, and new gutter installations which will keep your home looking and performing at its very best. Every gutter inspection Columbus, OH homeowners have performed by Next Level Exteriors contractors is specially designed to identify issues before they worsen as well as supplying homeowners with the specific gutter repairs in Columbus, OH which will have the entire home as reliable and comfortable as possible, no matter what type of gutter system is protecting your home. 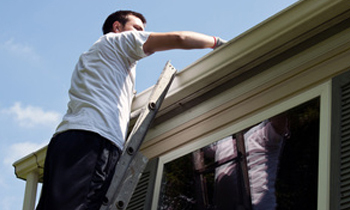 Whether you’ve begun to notice signs of trouble in your home’s gutters, siding, and roofing or you’re simply looking to save yourself some money and stress, the dedicated team of professional Columbus gutter inspection Columbus, OH contractors here at Next Level Exteriors are available today. Call our friendly and knowledgeable professionals at (614) 423-6787 to schedule a free at-home consultation and estimate for your next Columbus gutter inspection service.